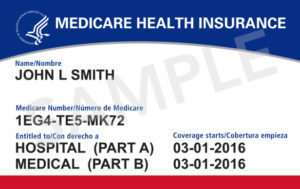 Medicare is Removing Social Security Numbers (SSN) From all medicare cards , As We have Discussed In our previous Post Medicare removing SSN From Medicare Cards , A New Identifier Called MBI (Medicare Beneficiary Identifier) Will Replace the SSN Based Health Insurance Claim Number on All New Medicare Cards for Medicare transactions like claim status, eligibility, and billing. Here is How MBI Will work as per their post on CMS.GOV. All MBI will have 11 characters like HICN (Health Insurance Claim Number), which can have upto 11. All MBI is generated Randomly, in past this was based on Social Security Numbers (SSNs) of People with Medicare, as per their post This MBI’s will “non-intelligent” , so they doesn’t have any hidden or special Meaning. MBI will contain Numbers and letters (Uppercase), that will use 0 to 9 numbers and all letters from A to Z, they have excluded S,L,O,I,B and Z so that will help all characters to easier to read. The dashes aren’t used as part of the MBI. They won’t be entered into computer systems or used in file formats. As per Medicare post on CMS.GOV each person with Medical will get their own randomly generated MBI, Spouses or dependents who have had similar HICN will get their own different MBI. For More Information Refer Below PDF from Medicare. I think this is a great idea to help protect the identity of our senior citizens. I think it’s also great that medical practices are given enough time to transition so that they don’t come across a huge denial issue.